Upgrades Include In-Lobby Bar, Harkins Ultimate Loungers™, Reserved Seating & More! Harkins Theatres announced today the first phase completion of the highly-anticipated remodel at Harkins Scottsdale 101. The newly remodeled theatre offers brand new upgrades including Ultimate Lounger™reclining seats, in-lobby bar, reserved seating, mobile ticketing and entirely new and upgraded interior décor! The in-lobby bar at Harkins Scottsdale 101 serves cocktails, wine and beer, including craft selections from local favorites Papago and Four Peaks Brewing. Guests are invited to relax and explore Harkins’ custom-built drink menu at the bar. All drinks purchased at the in-lobby bar are welcome inside the auditorium. Moviegoers can reserve their Ultimate Lounger and bypass the box office using Harkins’ mobile ticketing. To celebrate 84 years of Ultimate Moviegoing, Harkins is treating guests to $5 movies Friday September 1 through Monday September 4. Moviegoers are invited to experience the newly remodeled Scottsdale 101 theatre and reserve their seats to any show this weekend for only $5! The second phase of the ongoing remodel is now underway at Scottsdale 101 and will include continued upgrades to the theatre, including an upgraded and enhanced Cine Capri auditorium and museum. 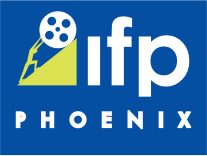 The Phoenix Film Festival is excited to make its home at the Scottsdale 101 and look forward to watching some of the best in independent cinema in some of the newest and most comfortable theatres around!